For you pet lovers, I know it's always hard to leave your pets at home while you're away especially when it's going to be an extended amount of time. 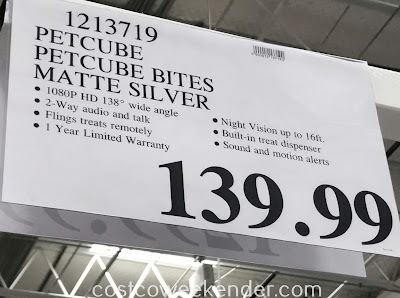 That is why it's a good idea for you to get Petcube Bites from Costco. 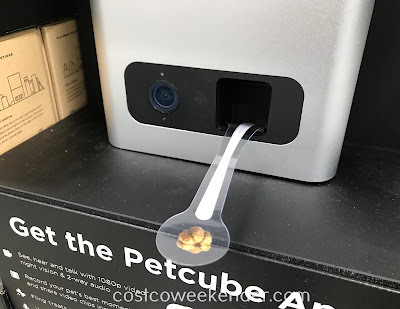 Petcube Bites allow you to see, hear, talk, and feed your dog or cat even when you're away. That way you can keep an eye on Fido and even reward him with a treat or two if he's not making a mess at home. Remotely dispensing a snack for your dog is like something you would see on the Jetsons. 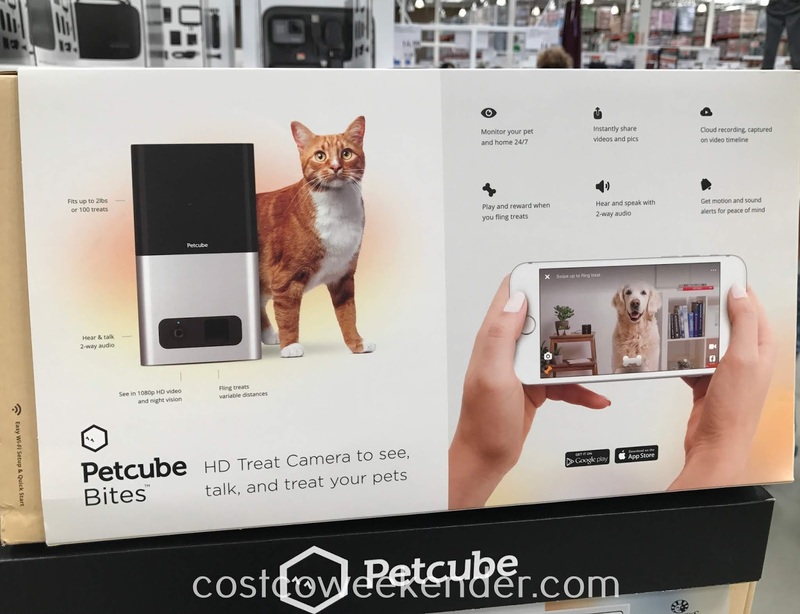 Now you don't have to find someone to check up on your dog or cat when you have the Petcube Bites in your home. 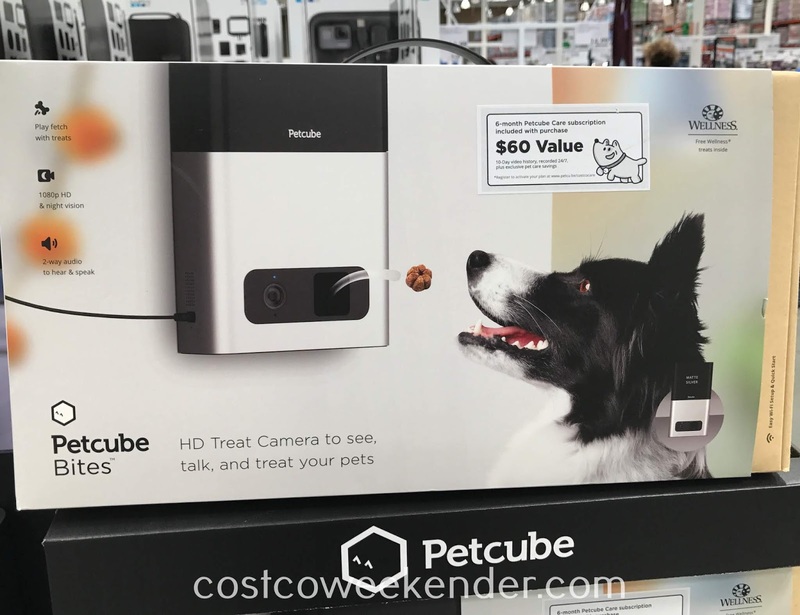 With Petcube Bites you'll miss your pet less knowing that he's ok. It'll almost be like you're there with your pet. 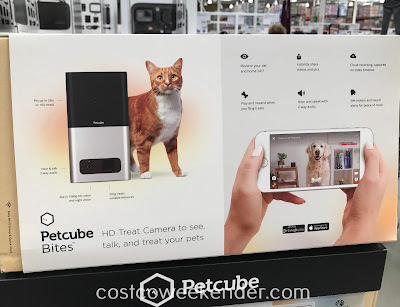 You'll love having Petcube Bites, and your pet will love you even more because of it.